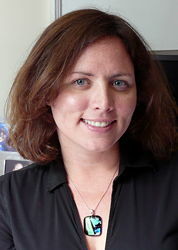 Dr Amy Lykins is Associate Professor in Psychology at UNE and a registered clinical psychologist. She is also Co-Director of the Environmental Psychology Research Group. Her work in environmental psychology primarily involves the intersection between mental health and the environment. She has completed projects on climate change and mental health in rural Fijians, maintained vs 'wild' nature exposure and mental health and nature connectedness, and mental health sequelae of natural disaster exposure in second responders. Dr Lykins is currently investigating biophilia and its relationship to pro-environmental behaviours, and personality and mental health factors associated with decision-making when faced with a natural disaster using virtual reality. She is also interested in human-animal interactions and animal ethics, and has completed projects on equine-assisted therapy and cognitive dissonance associated with the 'meat paradox'.